Does Peppermint Oil Drive out Spiders? Spiders might not be the worst creepy-crawly you can find in your house, but that doesn’t mean they’re welcome to stay. The good news is that house spiders are very normal and not dangerous. The better news is that there are some things you can do yourself to kick and keep them out. 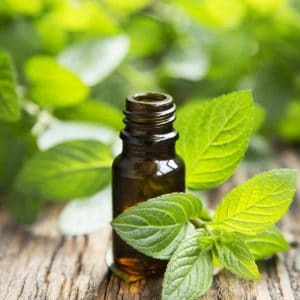 Peppermint is an easy, natural, and popular method. Spiders do not like peppermint, and because they “taste” with their legs, it is an easy way to keep them away. Make a mixture of 1-1/2 cups water, 1/2 cup of white vinegar, and 20 drops of peppermint oil. Spray this concoction on windowsills, entryways, and where you find spiders. It will take a while for the house spiders you currently have to go away for good, but other spiders won’t make their way in with such a strong mixture in their way. If you’ve had enough of spiders making themselves comfortable in your home, give us a call. We know all the different ways to handle these eight-legged pests, starting with our Green Band Protection System. The Green Band Protection System takes the common-sense approach of controlling pests to protect the people, pets, and plants from any ill effects from a pesticide spraying process inside your home. Call us today at 877-636-9469 for a free quote.